I know it's been a while, and I'm sorry, but I've been super busy re-creating TheGuitarLesson.com from the ground up. The old site was nice, but it was created in 2008, so it was about time to modernize things, inside-out. The first thing you'll probably notice is the new design of TheGuitarLesson.com. I wanted to make things really streamlined and minimalist, while keeping with the color scheme of the old design. As it turns out I've been under a rock, and PCs are out, even laptop sales are down, since the whole world is going mobile. Everyone is running around with a tablet nowadays, and browsing the net on their cell phone. The old site had no mobile optimization whatsoever, the videos didn't even run on iPhones and iPads. I've thrown out all Flash technology from the new site, so all video lessons play perfectly on all mobile devices, and the site is responsive to the size of the screen you are viewing it on, so it will adjust to make your viewing experience the best it can be. This section is for those of you who know a bit about web programming and content management systems. So the old site was written in Drupal, but I found it was really difficult to maintain, and I wasn't really impressed by page-load times either, so I decided to move everything over to WordPress. The migration was long and painful, out of the 9 months of development, this accounted for about 6. But in the end, I'm really happy that I made the move from Drupal to WordPress, everything is much quicker, easier to maintain, and more future-proof. 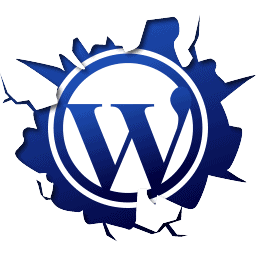 I've found that WordPress is much more versatile as well, so if I ever want to change things, be it design, layout, or programming, it'll be much easier. There was one huge decision I had to make though, the matter of importing all users from the old Drupal site. Even though I had spam countermeasures, there were lot's of spam registrations in the old site. The extra accounts made the databases bulky, the email system slower, so I decided to only import those student accounts, who were premium members at one time or another. This way, I know all spam accounts are a thing of the past, and the inconvenience of having to register again is hopefully offset by the new features of the site for others. So if your account didn't make it through the migration, I'm very sorry, please register yourself again, it takes 20 seconds. With the new site, partly due to the move to WordPress, I can add more and more new site features, which you'll find great help in learning guitar. A metronome is the first one to be added, have a look at our new online metronome. Metronomes are really handy when it comes to developing your rhythm and timing, so go ahead and use it as much as you like, it is available to free and premium members. 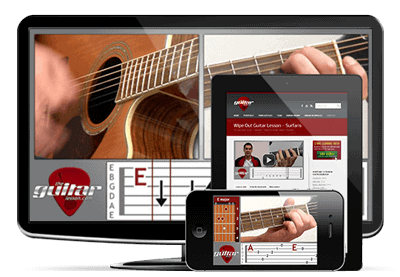 The video guitar lessons now have a higher resolution version as well as the old resolution, so if you're watching at home or on our mobile via WIFI, choose it. If you're on a cellular network, watch your bandwidth though, the high resolution version of the videos are 2x the size of the standard version. Categorization of lessons has been requested by so many students, and has finally arrived. Just go to a video guitar lesson listing page, and you'll find a dropdown set of filters. In the near future, I'll also be adding a jam track page, where you'll be able to choose from a large number of jam tracks in various genres and keys, and also an online guitar tuner, so watch out for those as well, they'll be under the online guitar tools menu. I really hope the changes to the site will be to your liking, and I'm really interested to see your comments below.